New Ulster club champions Slaughtneil have lodged a request with the GAA to change the date of their All-Ireland semi-final against Austin Stacks. The Derry side are scheduled to meet the Kerry and Munster champions on Saturday 14 February. The club want the game moved as one of the players has a family wedding. The Central Competitions Control Committee has confirmed it has received a request to have the game played on Sunday 15 February. 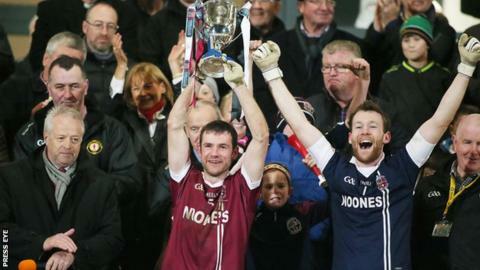 Slaughtneil defeated Omagh St Enda's 1-10 to 1-9 in Armagh on Sunday to win their first Ulster SFC title.